As most of you who read this blog know, I’m a stickler for words and definitions. One of the places in which this comes up most frequently is in regard to “consequences.” It’s not that I like being annoying, it’s that I just can’t help myself from commenting on this. Not to skirt responsibility or anything, but I do have a mother who still, at age 95, corrects my “too” with “also” and my “yeah” with “yes.” I just come by it honestly, that’s what I’m sayin’. Okay, I don’t quite do that. Out loud, anyway. More often, I offer a much more polite and hopefully helpful clarification or reminder about the distinction between the different types of consequences. I’m trying to be helpful. Really. I don’t always succeed. Some people take offense. I figure that comes with the territory, and I take that as an invitation to sharpen my game and find a new and different and gentler way to say it. I’m always working on it. It happened again today. A parent said “We try to stick to natural consequences” (Hey! So do I! ), and then went on to describe something that is not a natural consequence. It’s not a bad thing, or even an unusual thing–it happens all the time. It doesn’t make her a bad parent, or ill-intentioned in any way. These sorts of misunderstandings are rampant. So let’s talk about it. Consequences. What are they? Let’s look at those three examples for a minute. The first one is easy: the consequence of him throwing food on the floor is that the food is now on the floor instead of on his plate. Gotta love those natural consequences, but more on that in a minute. In the second case, what the parent is describing is a punishment, which is a type of consequence, but definitely not a natural one. And as for the third…from infancy onward, children begin to learn the natural laws of cause and effect—you shake the rattle and it makes a sound, you drop a ball and it bounces. She knows there are consequences to her actions–all children know there are consequences to their actions. That’s simple cause and effect. Unless that’s not quite what that parent is saying. Here’s the scoop. There are either three or four different types of “consequences,” depending on your philosophy and definition. Just so we’re all clear on this (and so you can start filling in for me or at least having vicarious frustration on my behalf—cause, ya know, misery loves company–when people use them incorrectly), let’s go through them. First, Natural Consequences. Natural consequences are just that: Natural. They happen without any decision-making or action on the part of another person. 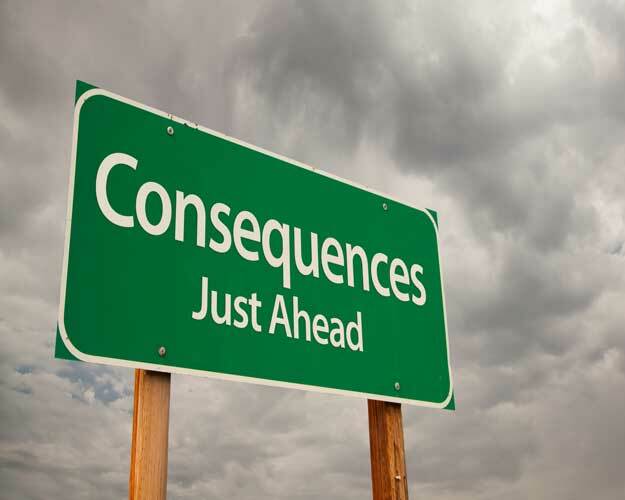 If you, as parent, are deciding what a consequence is or should be, then it’s not a natural consequence. The natural consequence of hitting your brother is that he cries or falls over. The natural consequence of spitting on your food is that you have saliva on your food. The natural consequence of running faster than your body can reasonably manage is that you fall down. The natural consequence of splashing a lot in the bath is that the floor (and maybe your parent) gets wet. The natural consequence of forgetting your homework is not having your homework to turn in–even the possible negative impact on your grade is not a natural consequence, because that’s something the teacher decides. The natural consequence of screaming at the top of your lungs is…well, often, nothing. Not everything has a natural consequence. It’s great when things do have natural consequences, but it doesn’t always work that way. So the natural consequence of screaming at the top of your lungs might be hoarseness or a sore throat or exhaustion from all the effort. Your parent’s ears hurting might be a natural consequence of a sort, but what they choose to do about that is not a natural consequence, because it involves a decision on their part. I repeat, if you, as a parent, are making any sort of decision about what the response should be, it is not a natural consequence. Natural consequences are the most powerful, the most useful, and the best ones to “use” (though you’re not really using them, you’re just allowing them to happen) with children. If it’s possible, do it. Or more to the point, if it’s possible, stay out of it, and let the natural consequence play itself out. Of course, that’s not always possible or practical. As was said earlier, there isn’t always a natural consequence. And sometimes, the natural consequence is too dangerous, and something we, as protectors and teachers of our children, cannot allow. Sometimes the behaviors are things that don’t really need a consequence, but are triggers for us that we know will send us into a place of anger, so we need to set limits on them for our own sanity and the smooth functioning of our families. We don’t simply stand back and watch our kids climb on our roofs to jump off and play Superman, all the while invoking our commitment to natural consequences. That would be negligent. And we (most of us) don’t just stand by and let kids color on the walls because it is a destruction of property and inappropriate use of materials. There is no natural consequence for coloring on the walls (other than more colorful walls! )–it is a limit we are setting as adults. In those cases, what you’re looking for is Logical Consequences. Logical consequences are the next best thing to natural consequences, and are the end of the road for many people, myself included. Logical consequences are things that are decided by people (not always by adults, sometimes they can be decided by kids, which can often be the best way to go), but they are things that are directly related to the infraction. 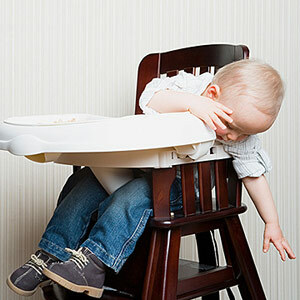 To use the examples above, if a child throws food on the floor, there are a couple potential logical consequences: one might be that they help clean it up, and the other is that it is understood as a clear indication that they are no longer hungry or finished eating, in which case mealtime is over. Or both. Logical consequences should ideally be implemented in a calm, matter of fact way. These are not punishments, and if you, as the parent, thinks of them in that way, I would ask you to try to shift that. For example, in the case of throwing food, you work on shifting the message in your head from a somewhat harsh or punitive-sounding, annoyed, or abrupt “Okay. Dinner is over” to a more matter of fact “When you throw food, that tells me that you’re all done eating. I’m going to put the food away.” It’s hard, in writing, to communicate the difference in tone between these–so much easier in person–but I’m hoping you can decipher the difference, not only in tone of voice, but also in emotional tone. Perhaps it goes without saying (but I’m gonna say it anyway), but the second of these–the calm, matter of fact one–is the one you’re after. Even if you say the first one (for now), practice will bring you to the second. Illogical or arbitrary consequences and punishments are the least effective methods. The thing is, they’re very deceptive, because it looks like they work. That’s what makes them so appealing and reinforcing to parents. If you pick up a child and plop them down in a time out chair, then the behavior they were doing will, by definition, be stopped. We tell them to “think about what they did”, which they do not, because they don’t understand the connection between what they did and sitting in the corner (which might be because there isn’t any connection.) This was demonstrated both humorously and perfectly just this a couple of weeks ago by actor Chris Pratt on a late night talk show, who told us that his two-year-old son sat happily in a time out corner with a smile on his face (for 10 minutes?!? ), reporting at the end that while he was supposed to be “thinking”, he was indeed thinking–about “trains and dogs.” Consequences are supposed to teach something, to help a child learn what they should do differently next time. Punishments or consequences that are disconnected from the offense do not meet that standard, and yet still, they appeal to so many parents? Why is that the case? It’s not that big a mystery. They appeal because they’re not as much work (keeping strictly to natural and calmly implemented logical consequences is a lot of work, and demands a lot of self-control.) They appeal because it’s what many of us experienced as children, and “we turned out okay” (one of My Top Ten Least Favorite Phrases, right there). They appeal because it’s not really about appeal, but it’s about what just comes naturally, what we know from how we were raised or “what people say to do.” They appeal because they make us feel powerful and like “strong leaders”, and parents of young children are more often than not overwhelmed and feeling like we don’t know what we’re doing. They appeal because they work. In the moment. They work in the moment. But, as many parents will tell you, “I’ve told him a thousand times, I’ve put him in the corner every day, but he’s STILL doing it!” Right. Because he didn’t learn anything. Teaching children morality, integrity, and self-control (which, after all, are the long term goals of discipline) is more than making them scared to do the wrong thing or finding something that will make them stop as soon as possible. We have to keep an eye on the long run. Give it a shot. Natural consequences whenever possible. Empathize and acknowledge the frustration or pain or inconvenience of the natural consequences (it’s no fun to fall down)….not in a “See? That’s what happens when you run too fast!” way, but in a kind “You were running fast, and you fell down. It’s hard when that happens” way. When natural consequences don’t apply, move to logical consequences. When your children are exceptionally fussy and fighting with each other on a given morning, don’t cancel the trip to the zoo in the afternoon as their “punishment” for being in a bad mood–it’s probably exactly what they (and maybe you) need. When your two year old doesn’t stop at the corner but turns and goes out of sight, set a limit that for the rest of the walk, they need to hold on to your hand or to the stroller, not in a disappointed “I can’t trust you, so you have to hold my hand” way, but in a “I know you really want to run far and fast. I need to have you close so I can keep you safe. You’re having a hard time doing that by yourself, so for right now, you can hold my hand or you can ride in the stroller.” way. Make the “punishment” fit the “crime.” Every time. Keep an eye on the long run. What do you want for your children? What are you trying to teach them? What are they learning? 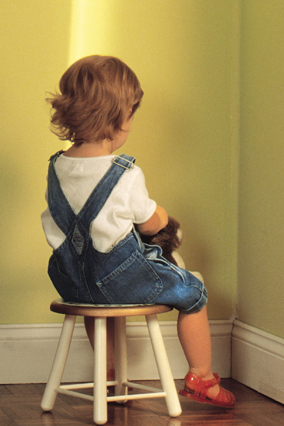 Do you want your children to learn to behave appropriately because it’s the right thing to do or to avoid punishment? What will the outcomes of your methods look like when your children are too big to pick up, or when they are teenagers? Do it now. It’s harder later. And hey, spread the word about which is which…and maybe even which ones work…okay? Just say you’re doing it for a friend. This entry was posted in challenging behavior, communication, discipline, parenting, preschoolers, punishment, triggers and tagged behavior, consequences, discipline, effective disipline, logical consequences, natural consequences, preschoolers, punishment, time out, toddlers. Bookmark the permalink. Great advice on consequences – and tremendous clarity for me. Thanks, Visible Child! Thank you – very helpful. I am wondering with the getting dressed logical consequence. What is the logical consequence for when the child is thrashing about and screaming during the process of getting dressed? How old a child? What is the reason they need to get dressed? How involved have they been in the process? How slowly or quickly has the task of getting dressed been undertaken? What might be a logical consequence of a child refusing to greet or just ignoring when spoken to? She’s only 4 but think it’s important that she learns her manners. Children learn manners by modeling. I don’t support making children greet people or respond to adults. They will do it when they feel confident and secure and able. Perhaps needless to say, I do not support a “consequence” for this either. Children of all ages should be fully respected for their choices and have a right to decide when they want to interact and when they do not. It’s perfectly appropriate at four to not want to speak to adults. If I were curious, I would observe and at well-connected, loving times, try to learn more about my child’s perspective so that I could better understand and empathize with their reluctance, which in turn would make me better able to offer them the support they might want or need.